Here is an unusual creature from the imagination of Druillet. 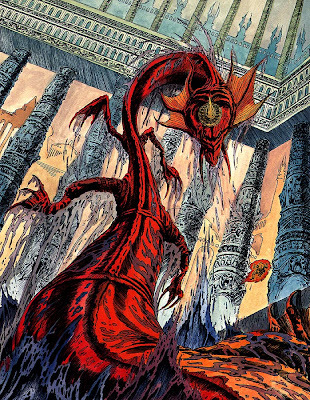 The image was found at this gallery of Druillet paintings. I'll be posting other artworks found on this site for the next few days.